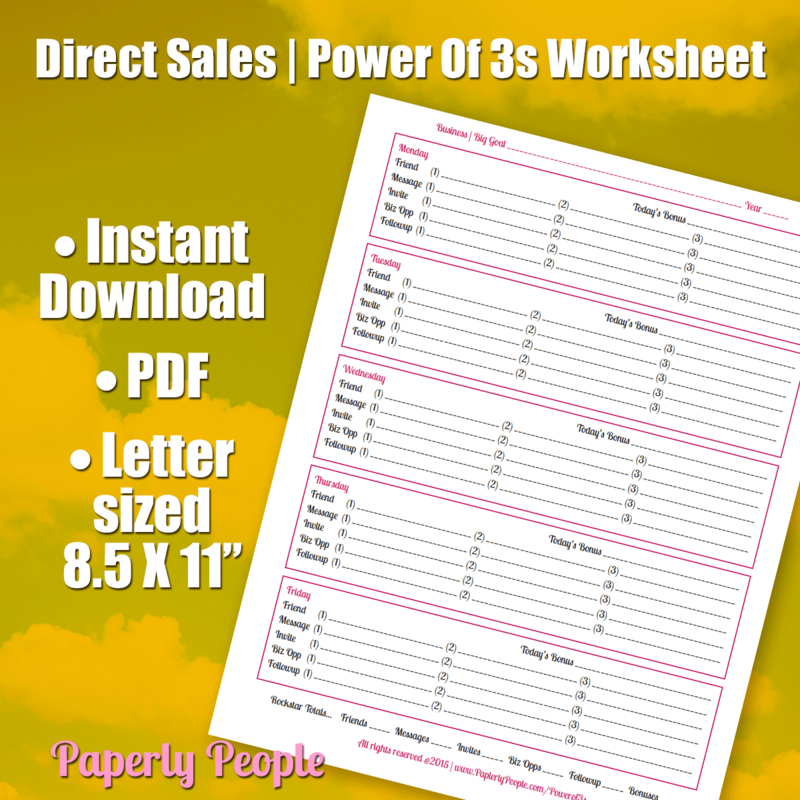 When my pal Kirsten McCay Smith asked me to make a special lead generating form for her to use in her direct sales and network marketing, I took notice. Not being in direct sales, I was not aware that there were specific tasks that make a HUGE difference in being a successful consultant, but Kir broke it down into easily manageable pieces that she does EVERY DAY. If you are looking for a great (easy) system to use for your business, check out her article below! 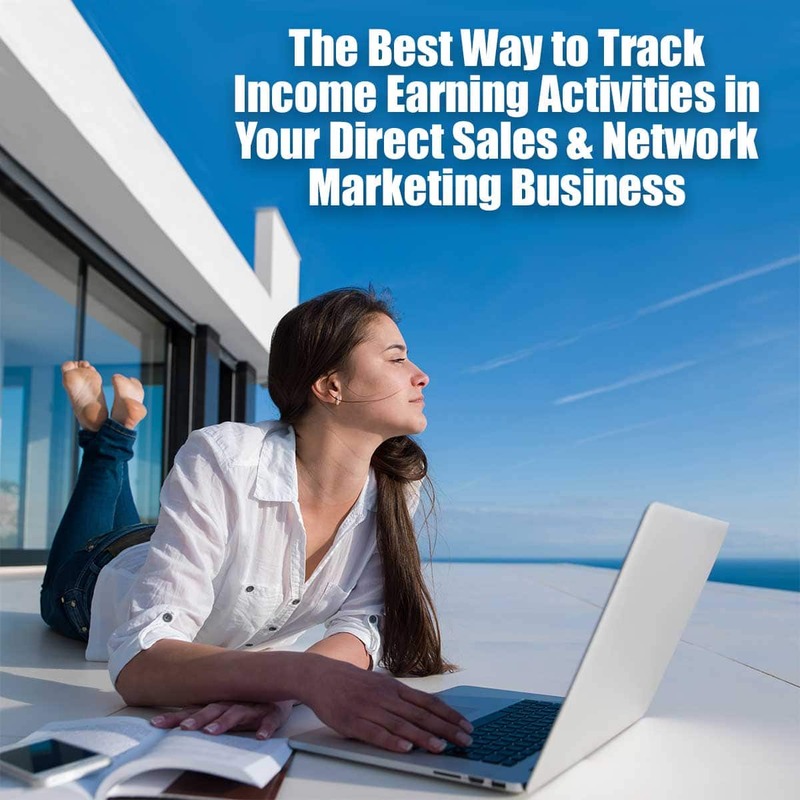 Whether you are with a party plan company like Mary Kay or Passion Parties or a Direct Sales company like Amway or Beachbody, the only way you will be successful is if you are consistently doing income producing activities…and tracking them. Since the majority of reps in network marketing work from home, often they mix their business with their responsibilities at home such as cleaning, cooking, child care, etc. So you may make a phone call and then do the dishes, then send out an email, then fold laundry, then write a thank you card and then chase your kid for an hour. You are exhausted and just spent 4 hours working. You put in a good day’s work and you are ready to relax in front of the TV for an hour with the kid before you need to start dinner. But if you were to track your activities for that day you would see you only did 3 things that took you about 5 minutes. Not enough to grow a business! Another example is social media. You open Facebook to check your messages and are excited to see you had 2 responses from follow ups the day before. Before you respond back, you take a look at their timelines to get to know them a little better. One posted a great political article and with the debates coming up, you want to be informed. You click on the article, read it, but have some unanswered questions so you search for another. 2 hours go by and you get refocused. It’s time to post your daily motivational quote pic on Instagram. You log in and scroll through a couple pics, like a couple, share a couple, another hour goes by and it’s lunch time. You decide to make a smoothie and since you worked all morning you would reward yourself by watching a couple funny cat videos while drinking it. Wait what? You “worked” all morning? You did exactly ZERO income producing activities!! You would have known that if you tracked it! Some of you may be thinking I’m exaggerating (I’m not) and someone you may be either laughing or crying because you know it’s true! So what can you do about it? Start tracking your productivity! I know that sounds tedious and boring and who has time with all the cat videos and politics to stay up on? Here’s where I come in to help. I have been in network marketing for over 10 years and have experienced everything I talked about above (other than kids and cats and politics…I have my own ways of wasting time and rewarding myself for doing nothing). And I have a tracking system that covers all the important aspects of building your network marketing biz on one easy form. And you can cater it toward your specific business, goals, time frame, schedule, etc. It’s called the ‘Power of 3s’ and here is how it works. So your tracking sheet will have those 5 categories. Now depending on how many days you work a week, you will repeat those 5 categories that many times. So if you are a hobbyist and only work one day a week, your tracking sheet will have the categories listed once, if you are part time, you will list them all 3-4 times, full time or career, you will list them 5-7 times. And then depending on your goals and time line, you will decide how many people you need to add to each category each day. Minimum is 3…that is why it is called the Power of 3s. In every category! All categories are equally important to your biz so your number needs to be the same in every single category. If you have big goals or want success more quickly, increase that number to 10 or 50 or whatever you need to reach your goals. If you don’t know the numbers you need to hit to reach your specific goal, talk with your upline or a top leader in your company. I guarantee they will know. The last thing I want to do is give you some guidance for each category. If this is all really new to you, it may be overwhelming and the last thing I want is for you to do nothing! You already know WHY each of these categories is important to your business (if not, chat with your upline), I just wanted to give you a little guidance to make this easier for you. And then write down each name of each person each and every day! You will start to see a pattern of where you need to focus more of your attention to build a well-rounded business. Stay consistent and you WILL succeed! And PS…this sheet doesn’t cover one vital ingredient to the success of your business. PERSONAL GROWTH. But since network marketing is famous for promoting personal growth, I’m sure you are covered in that area! I just wanted to remind you! !